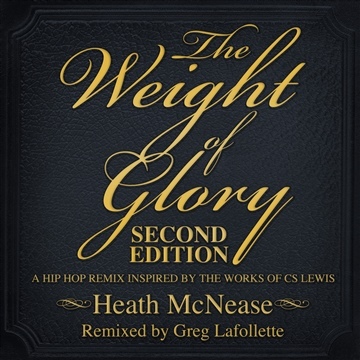 After an amazing response from the critically praised indie/folk release of, "The Weight of Glory", Heath McNease returns 8 months later with this hip hop remix record, "The Weight of Glory: Second Edition." This album takes the concept and musical content of the first record and flips it on it's head. Completely re imagined by Nashville producer and mad scientist Greg Lafollette, "Second Edition" features brand new, raw and emotive beats coupled with the most original and spiritually challenging rap lyrics McNease has ever written. This is the perfect record for the fan of beautiful indie production, the hip hop enthusiast, and for anyone looking to be challenged with heartbreaking lyrical honesty. All songs written by Heath McNease. Album remixed, engineered, mixed, and mastered by Greg Lafollette.